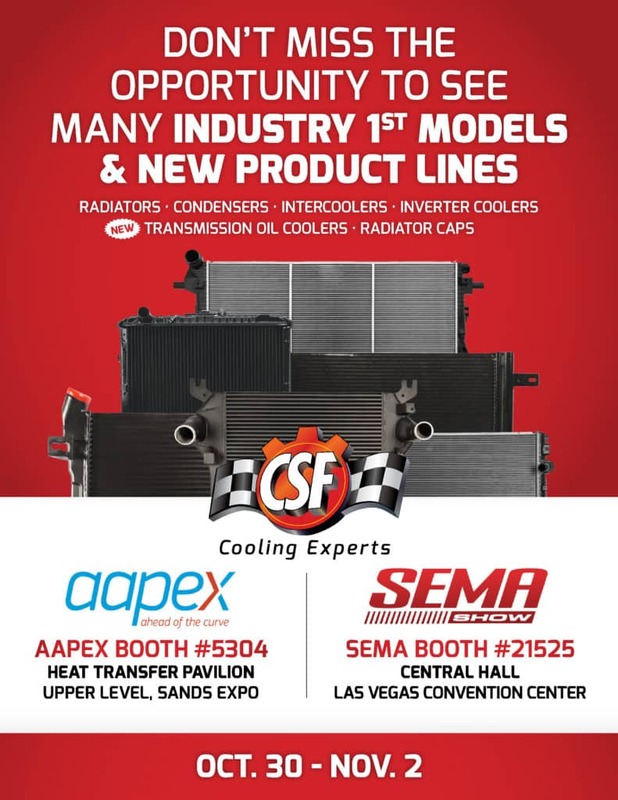 AAPEX 2018 with CSF Radiators, the Cooling Experts! Come see CSF at AAPEX 2018! CSF brings many Industry 1st models & New Product Lines to the AAPEX show starting October 20th, 2018! For 3 days, visitors can get an up-close look at the superior design and performance abilities of the models like the highly popular CSF 3642–the only aftermarket radiator built to cool the Super Duty right! CSF will also feature new Transmission Oil Coolers designed to support the truck aftermarket. Join the CSF Team at AAPEX Booth 5304 in Hall D to see the Quality Engineering that provides you the quality coverage that you deserve! We can’t wait to see you! Be sure to browse our catalog today to get your ride running cool with us! Hello my name is Luke Snelten I purchased a raditor from you guys… For my 2008 f250 superduty 6.4 powerstroke. From xdp.com and its bad right out of the box now I just spent 450 on the radiator and 500 to get it installed so I’m put a grand now and broken cfs part wondering what you guys can do about that… Cant believe its bad out of the box!